With opinion polls forecasting a victory for the pro-business Liberal Democratic Party the outcome of Japan's election this weekend is expected to revive the fortunes of uranium producers and explorers, hard hit since the 2011 Fukushima disaster. The Australian reports that the Liberal Democratic Party, traditionally considered the pro-business and pro-nuclear wing of Japanese politics, is expected to replace the Democratic Party of Japan in office following several years in opposition. Despite the recent Fukushima disaster which has tainted the reputation of nuclear energy in Japan the LDB has a relatively nuclear-friendly policy platform which would see a number of Japan's 48 decommissioned reactors rebooted following a three-year review process. If implemented the proposal would revive uranium demand from Japan and significantly bolster the fortunes of producers and explorers of the nuclear raw material, all of whom have endured hard times in the wake of the Fukushima disaster. The closure of Japan's nuclear power system took a severe toll on the global uranium sector, with uranium prices and shares in key producers falling precipitously. 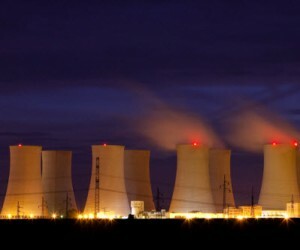 Australia's Paladin Energy has seen its share price fall from $5 just prior to the Fukushima disaster to around 89c at present, while the plunge in uranium prices due to the absence of Japanese demand has attenuated profits. 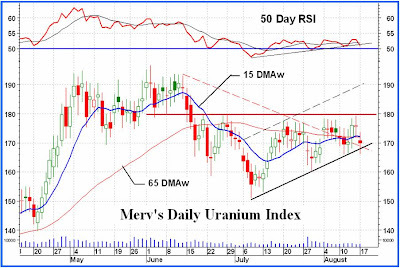 Another factor likely to boost the fortunes of uranium in the near-term is the expiration of the highly enriched uranium agreement (HEU) next year, which currently provides around 15% of global uranium supply via the conversion of which Soviet nuclear warheads into reactor fuel.